A family balances the demands of charity, life, and surfing. It’s easy to donate a few dollars or a moment of your time to those in need, but devoting your life to it is another story. Jack Viorel is a father, teacher, and innovator. He has made it his mission to travel the world with his 9 year-old daughter teaching disabled children to surf. As he journeys to all four oceans of the world, his wife Aileen stays behind to take care of the family and manage their life. But beneath the surface of this yearlong adventure are the pains and problems of everyday life. Over the course of a year Jack quits his job, adopts a child, and yet still continues his trek across the globe. Each success of his charity is met with a new problem at home, and his marriage begins to suffer. With bills piling up and his family struggling to find time together, something has to give. And for Aileen, the stress of managing the family, paying for the charity, and working a full time job is starting to be too much. But how do you tell a man working with Indian orphans, children with autism, and many more in need, to stop? 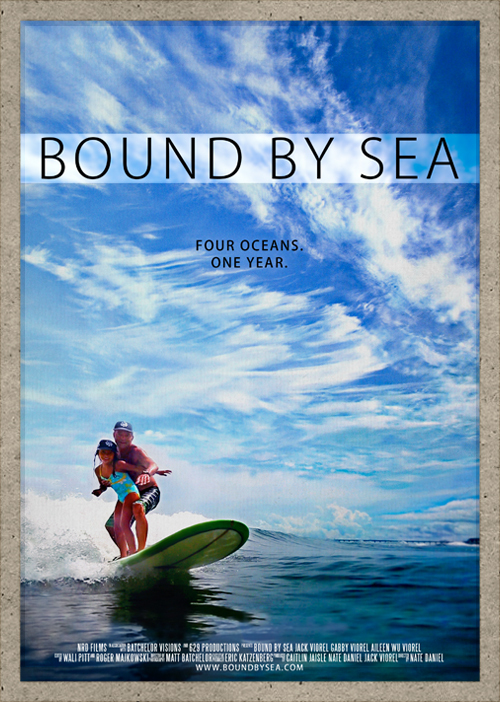 Bound By Sea presents both the highs and lows of a family fighting to live one man’s dream while also staying together.